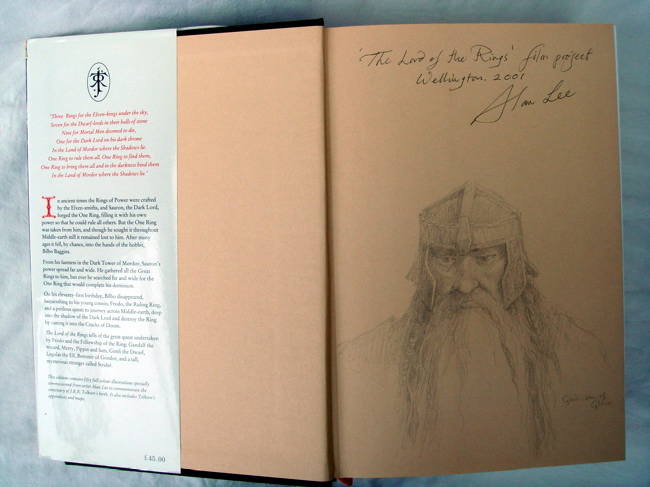 #PC000010 - 1991 Harper Collins, The Lord of the Rings One Volume edition, with a Full Page Hand Drawn Sketch By the Illustrator Alan Lee - This artwork was done at 'The Lord of the Rings' film project in Wellington 2001. A 'one of a kind' collectable for the Lord of the Rings fan. This artwork was done at 'The Lord of the Rings' film project in Wellington 2001. A 'one of a kind' collectable for the Lord of the Rings fan. 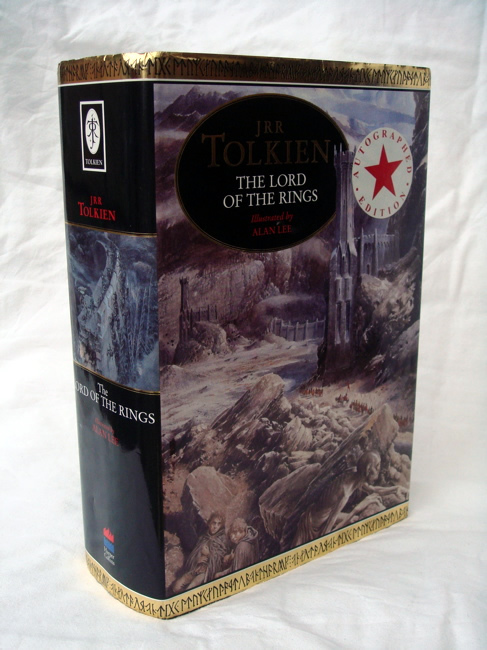 The Lord of the Rings one-volume hardback edition by HarperCollins, London, 1991. With a full page hand drawn Sketch by Alan Lee. 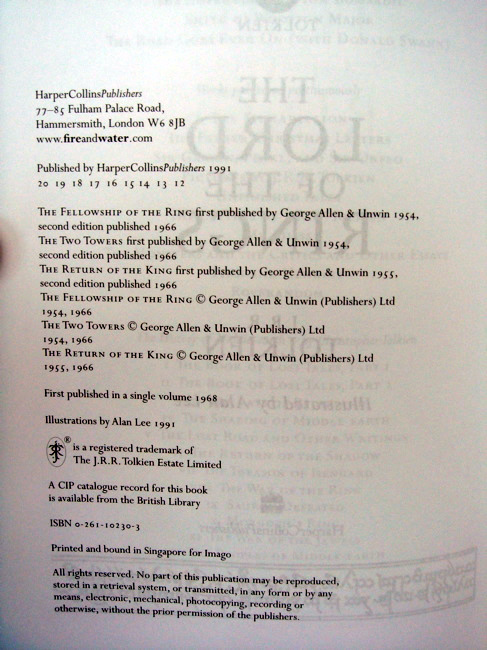 Alan Lee (illustrator). 1st Thus. 4to - over 9¾" - 12" tall. Brown cloth boards. This edition contains fifty full colour illustrations specially commissioned from artist Alan Lee to commemorate the centenary of J.R.R. Tolkien's birth. 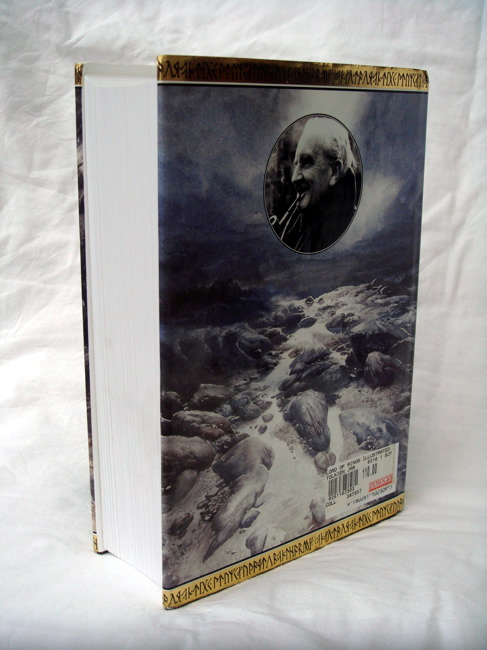 It also includes Tolkien's appendices and maps. 1200pp. 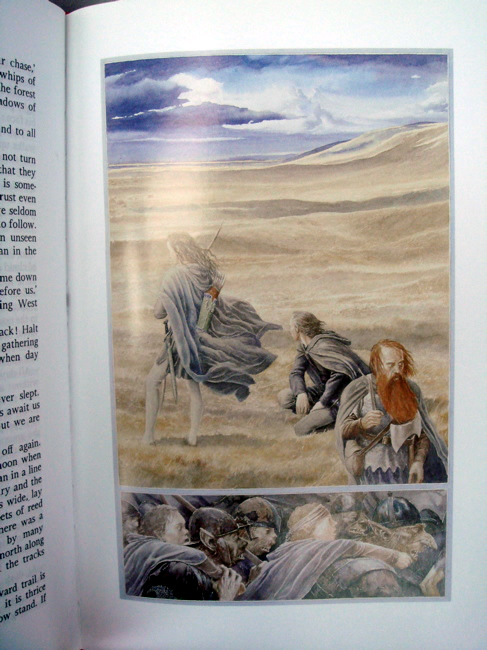 These illustrations eventually defined the look and feel of Peter Jackson's movie trilogy, and earned Alan Lee an Academy Award. 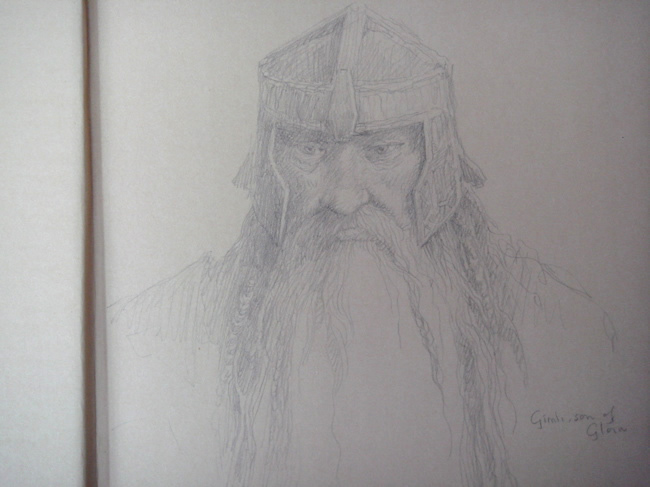 This copy is unique in that Alan Lee has drawn in pencil, a full page sketch of Gimli son of Gloin. 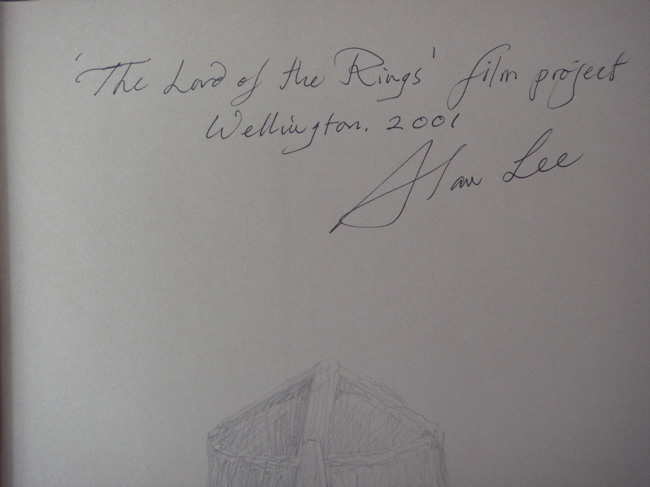 Signed "'The Lord of the Rings' film project in Wellington 2001, Alan Lee". A 'one of a kind' collectable for the Lord of the Rings fan.